Have you ever dreamed of running a bookshop? You can have a go for a week at the Open Book Store in Wigton, Scotland. In fact, if you book a holiday at the self-catering flat on Airbnb, you also have to work for 40 hours in the bookshop downstairs. A week in the flat costs £150. You won’t get paid for working, but you can use your own creative ideas to sell books and gain valuable experience. Wigton is Scotland’s national book town and this new venture is attracting interest from all over the world. Would you like to run or work in a Book shop? Why/ why not? Spend an Evening in Prison- Read, listen and learn a little English! Few people would choose a prison as the location for a special evening out. However, Italy has launched its first restaurant to be located in a real jail. At the Ingalera Restaurant in Bollate prison, Milan, there are four prisoners working as waiters and five others cooking in the kitchen, headed by a professional chef and a maître. It is a ground-breaking project, which allows prisoners to be gradually included into society. The reataurant has had great reviews: everyone says the food is worth going to prison for. Have you ever been inside a prison? Would you like to try this restaurant? Read by Ines Reynoso (from Mexico). Female Elephants Need their Grannies- Read, listen and learn a little English! Grannies are very important for female elephants. A Behavioural Psychologist at the University of Stirling has been studying elephant herds in Kenya for decades. Her studies have found that the survival of female elephants and their success at reproducing is helped not only by having a mum but also by having a grandma. Female elephants support each other and protect and care for calves as a group and the grandmothers play an important role. Elephants and girls should never forget their gran. What do you know about elephants? Do you think grandmothers are important for girls? Why? Leo Has Won at Last – Read, listen and learn a little English! It is 22 years since he was first nominated for an Academy Award, as best supporting actor for the movie What’s Eating Gilbert Grape. 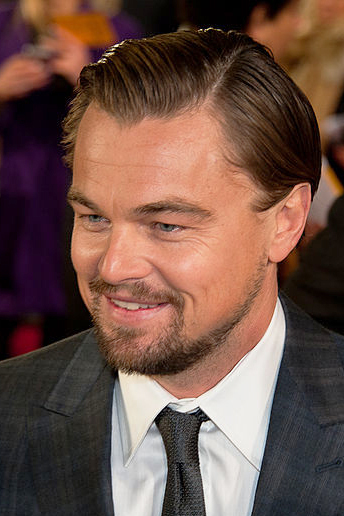 Which Leonardo Dicaprio movies have you seen? What do you know about Leonardo Dicaprio? Read by Annette (Scottish accent). Be Happy with Less Stuff – Read, listen and learn a little English! A recent survey by the National Association of Professional Organizers reveals that 54% of Americans feel overwhelmed by clutter and 78% have no idea what to do with it. According to psychologists, people accumulate things because they are unhappy but having too many posessions brings stress and more unhappiness. 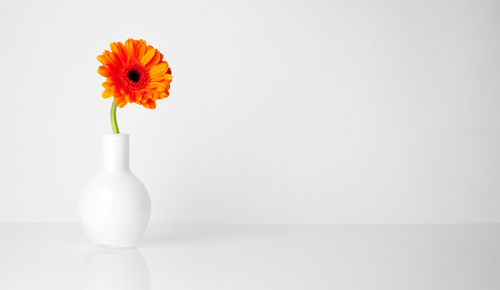 Minimalists say you can live better if you focus only on what’s really important and get rid of your excess stuff. You can donate things you don’t need to charity. Minimalism is not new. Some of the ancient Greek philosophers were advocates, as were Mahatma Gandhi and Leo Tolstoy. There may be more joy in owning less than in constantly accumulating more. Would you like to get rid of it? Read by Christine Leedy (U.S. accent). Don’t Set Goals: Use Systems – Read, listen and learn a little English! 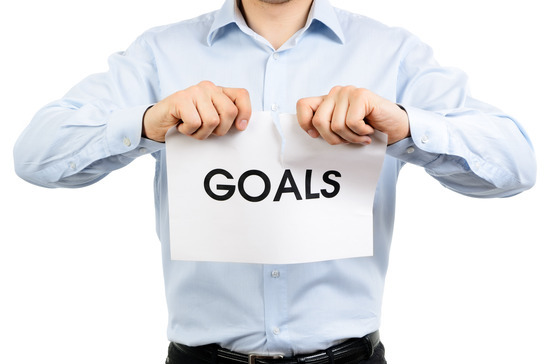 Have you already set your goals for the New Year? Do you want to lose 10 kilos, run a marathon or speak fluent English? Some experts believe that you need systems, not goals. A system is something you do on a regular basis. This means focusing on what you can control (your actions) rather than what you can’t (the unpredictable). For example, don’t focus on losing 10 kilos, focus on shopping for healthy food and cooking something light every day. Don’t focus on the marathon; focus on the training schedule. Invent a system to improve your English, one step at a time. Good luck! Do you usually set goals? Do you think you need a system? What regular actions are important to improve your English?